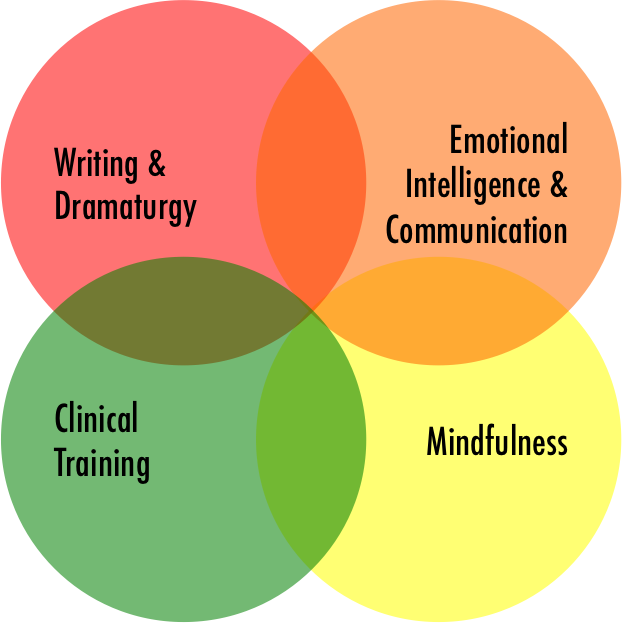 I work at the intersection of Writing/Dramaturgy, Clinical Training, Emotional Intelligence, & Mindfulness as a writer, clinician, and educator. This blended background lead me to create a particular process of articulation and revision called Narrative Coaching, which I have practiced across the lifespan wherever people are interested in discovering who they really are and who they really wish to be. Narrative Coaching holds at its core, the practice of Voicing. Our voice is the greatest expression of our selfhood, and the story we hold about our selves defines us, for better and for worse. These stories can be miraculously rewritten at anytime in our lives. The ink is not indelible. By Voicing, we can articulate and then revise our stories and our lives. Unpack Your Story. Discover Your Voice. Change Your Life. "I call myself a narratologist and the sharing of story has been the organizing principle of my life."